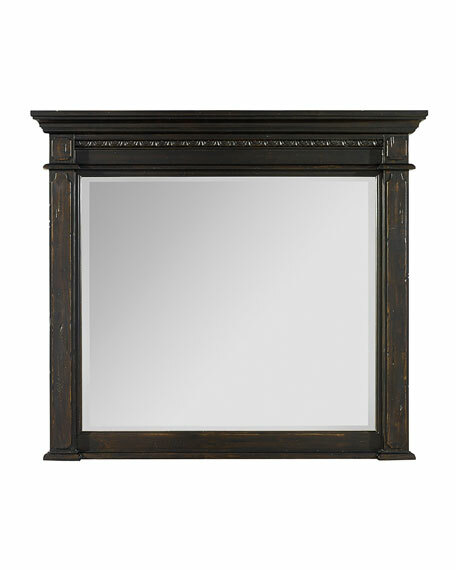 Mirror has beveled glass, beaded moulding, and raised motifs. 48"W x 3.75"D x 40.5"T.
Weight, 50.6 lbs. Boxed weight, approximately 57.2 lbs.